It’s Spring and with it comes color and light! Eric loves color and REALLY loves light…especially from lamps and chandeliers, in fact, I call him ‘the lamp king’. 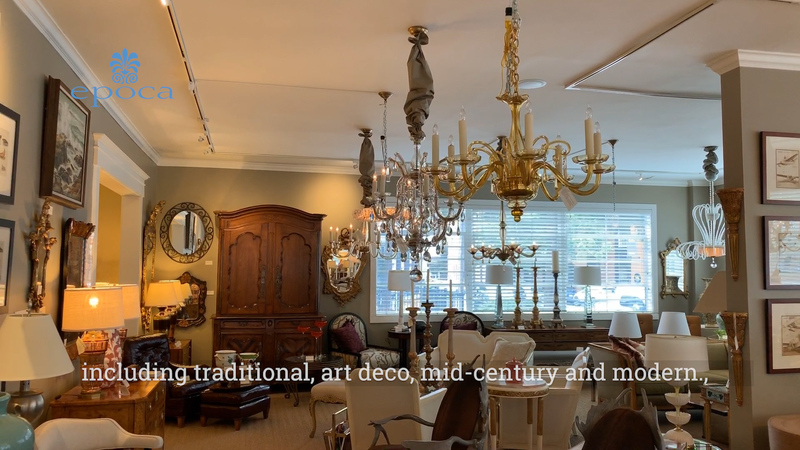 Here at epoca, we have such a fine selection of table lamps, floor lamps and chandeliers including traditional, art deco, mid-century and modern. Throughout the week, we are going to share some of my favorites here at the gallery. Today is this remarkable, superb quality Murano clear glass lantern by Seguso, whose fine glassmaking family heritage stems from as early as 1397. The lantern’s large scale of bullicante glass with controlled bubbles and twisted central shaft are standout features that makes it a true conversation piece. So put some spring into your step and come see this fine piece at epoca, also the new home of Garden Court Antiques. See you soon!